Halifax man charged with attempted murder as police investigate Huddersfield shooting. Detectives investigating a shooting in Huddersfield have charged a second man with attempted murder. The 28-year-old from Halifax also faces two charges of possessing a firearm following the incident on Peridot Fold in Fartown on November 11. The West Yorkshire Firearms Prevent Team previously said that nobody was injured but it was believed to been a targeted attack. 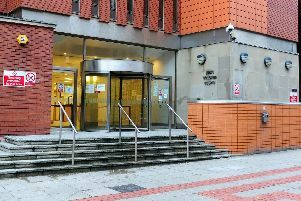 A 34-year-old man has already been charged with attempted murder and appeared at Kirklees Magistrates' Court last week. Police had also arrested a 32-year-old woman in connection with the shooting. She has been released pending further investigation.